Miyama Japanese Paper Centre, in Shirataka City in Yamagata,Tohoku. In 20th January, the first process of making hand-made Japanese paper was starting with local people. 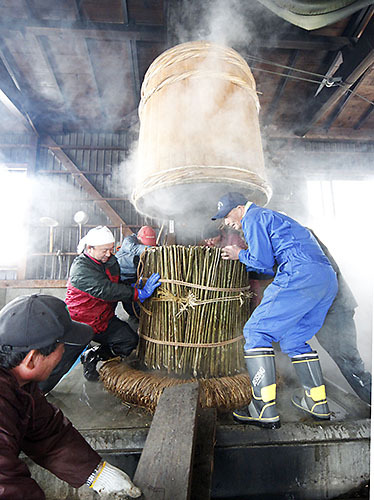 800 kg local Kouzo tree, Japanese tissue, were divined three sheaves. Each one was steaming for three hours by special steaming machine. white steam was up around the steamer. Then, Kouzo tree are removed into cold water. After that, by one of them stripped off the epidermis by manual labor and it’s bundled up and aired it outdoors. 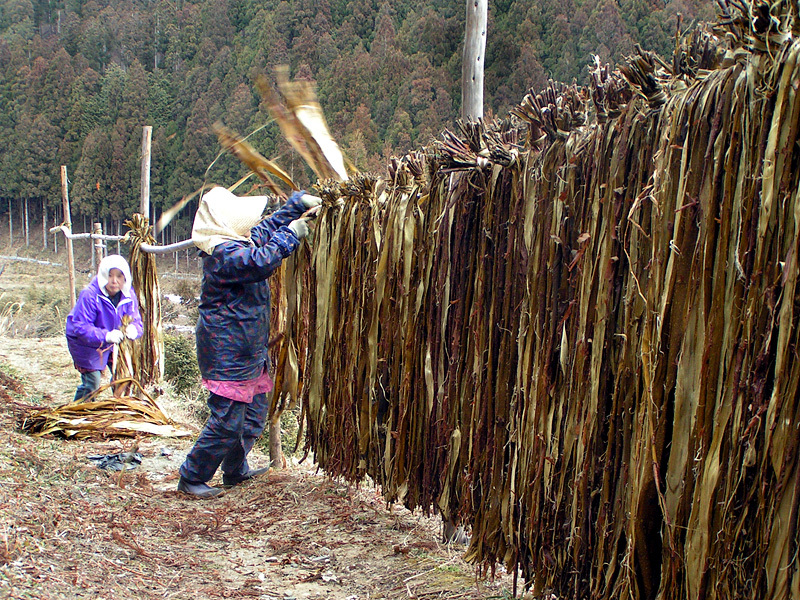 This Kouzo tree skin is a materials for paper-making. It uses after processes to make fiber small, bleaching, drying. 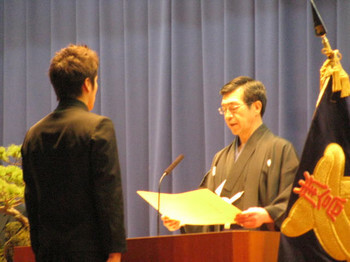 Mr. Suda, chairman said ” Miyama Japanese paper would be never vanished away by us. We would like to hand down this culture to next generation and do our best for it. Miyama Japanese paper-making was started around 400 years ago. 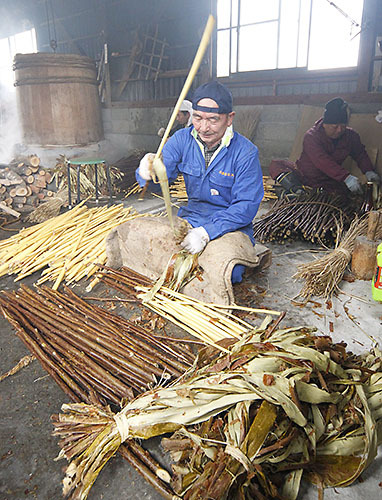 The production technology was designated by a prefecture intangible cultural asset in 1978. Tohoku University of Art and Design, in this area. Young local artist also support the traditional production. 2 Responses to "Making Japanese Paper in Tohoku 東北で和紙を作る"